Pagham FC have finalised their ten-match pre-season programme as they prepare for the 2017-18 Southern Combination League premier-division campaign. The fixtures open with a trip to Hamble FC on Saturday, July 8, where Pagham will play a double-header against the Wessex League side. Pagham visit recently-promoted Isthmian League side Shoreham FC on Tuesday, July 11 (7.30pm). On Saturday, July 15, Pagham host Cowes Sports, who play in the Wessex League. Another evening game follows on Tuesday, July 18, at Selsey, of Southern Combination League division one. Saturday, July 22, sees Pagham host Wessex League side Fareham in another double-header. Pagham welcome Wessex division-one outfit Baffins Milton Rovers to Nyetimber Lane on Tuesday, July 25, and host Southern Counties League east-division side AFC Crowborough and Southern Combination division-two near-neighbours Sidlesham on Saturday, July 29. Pagham will run a coach to the first game at Hamble. Anyone interested in travelling should contact chairman Tony Shea. The league programme starts on Sautrday, August 5. Sidlesham FC host two six-a-side tournaments this weekend. A men’s tournament at their ground, off the Selsey Road, takes place on Saturday and the first game kicks off at 10am. 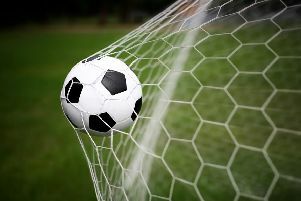 Sidlesham FC and Chichester City Ladies stage a tournament for under-12, under-14 and under-16 girls’ teams on Sunday. Winners and runners ups of the tournament will be presented with trophies. Both tournaments will be run in a league format with semi-finals and a final.